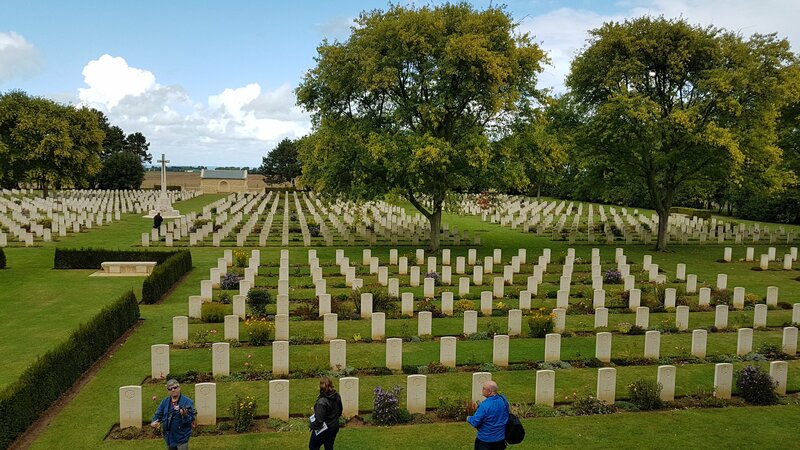 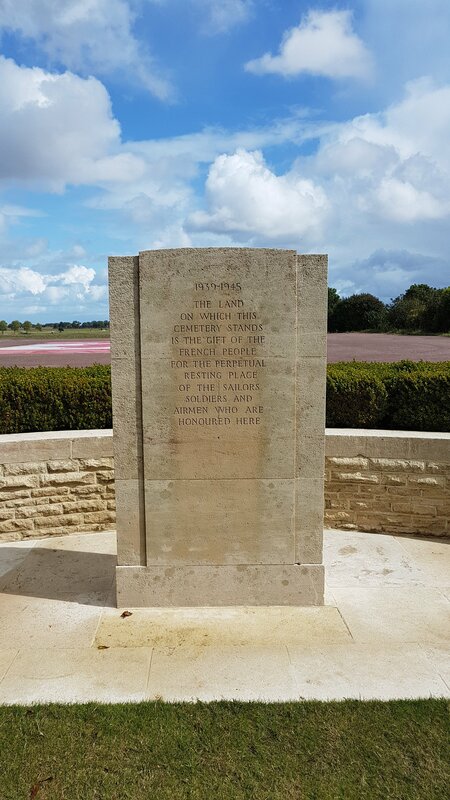 We then visited the Beny-Sur-Mer Cemetery. 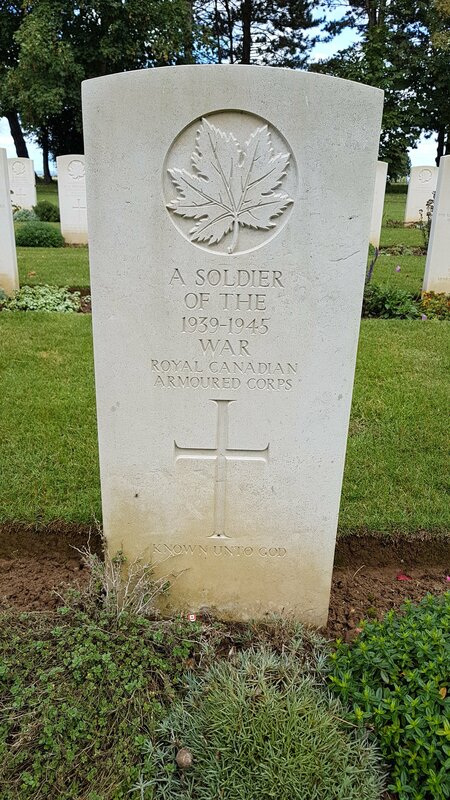 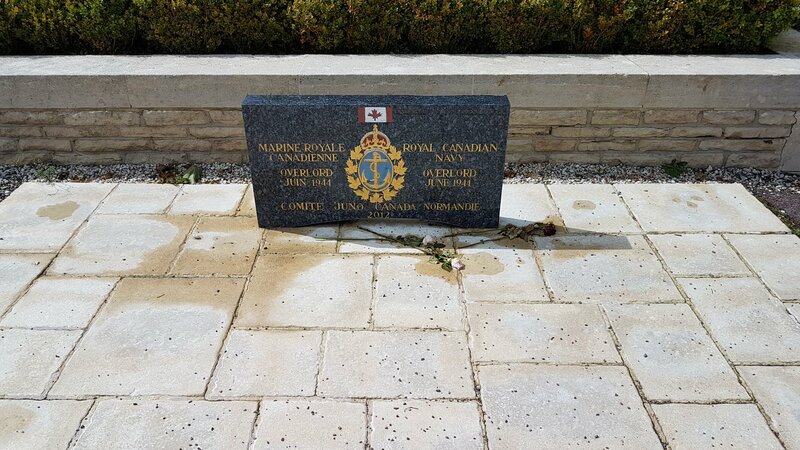 There are 2043 Canadian soldiers buried here. 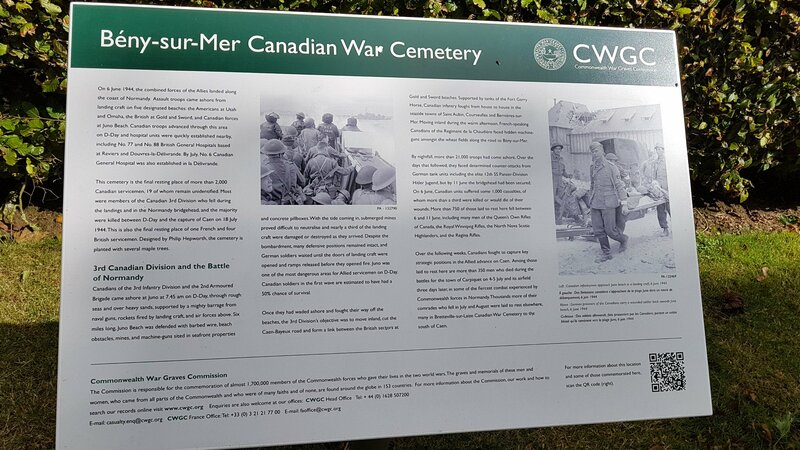 As one might expect, it was a very sombre place. 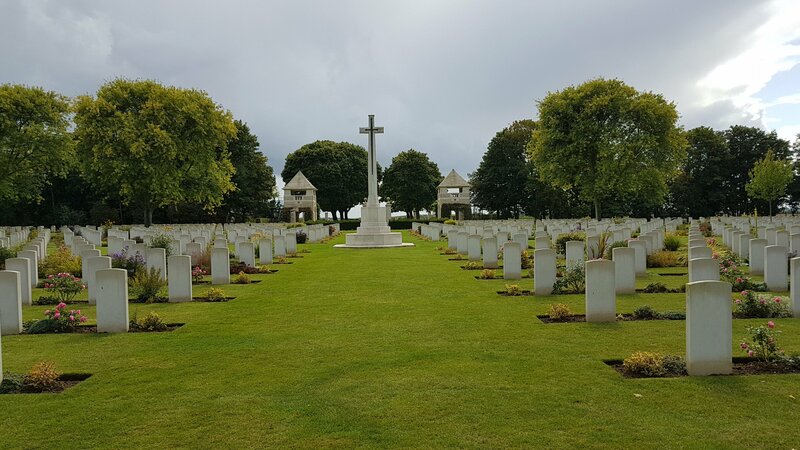 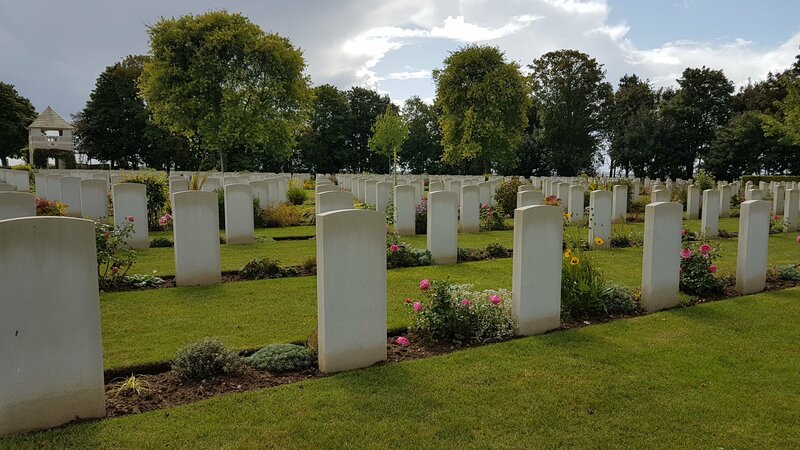 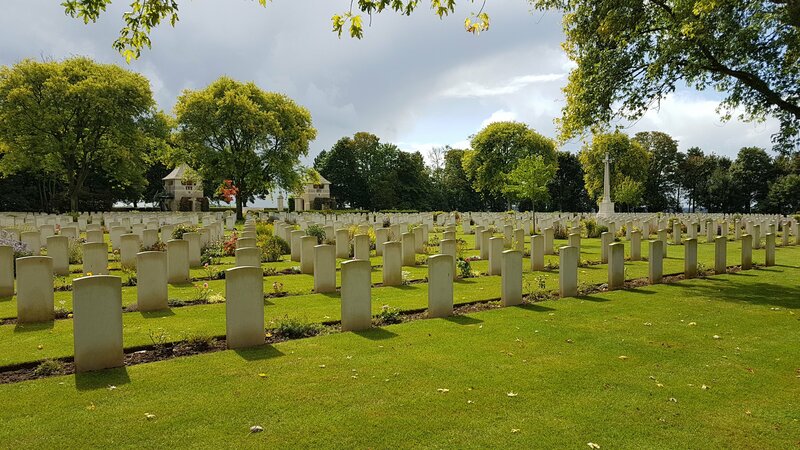 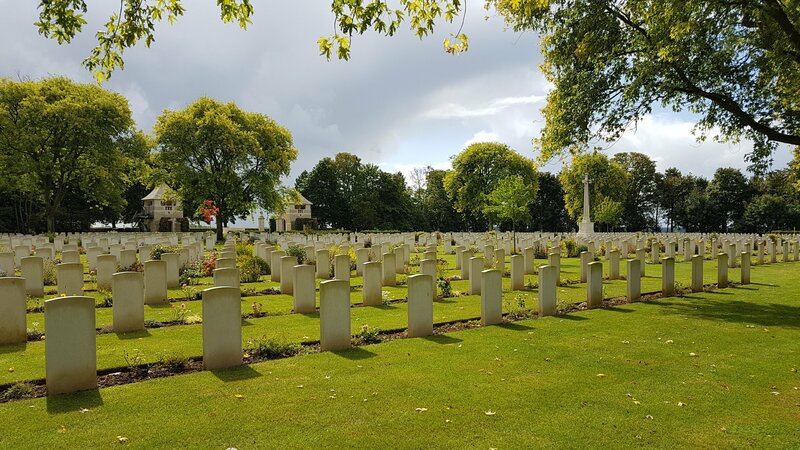 The cemetery is maintained by the Commonwealth War Graves Commission. 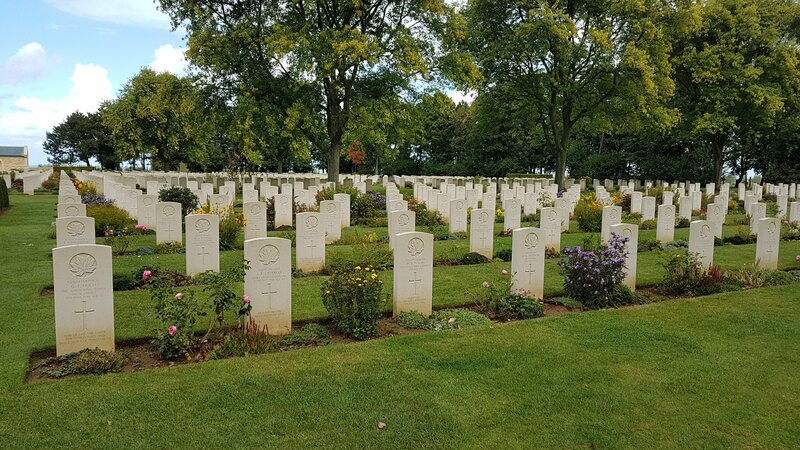 Each cemetery includes a register of the graves listing the names, hometowns, regiment etc of the soldiers. 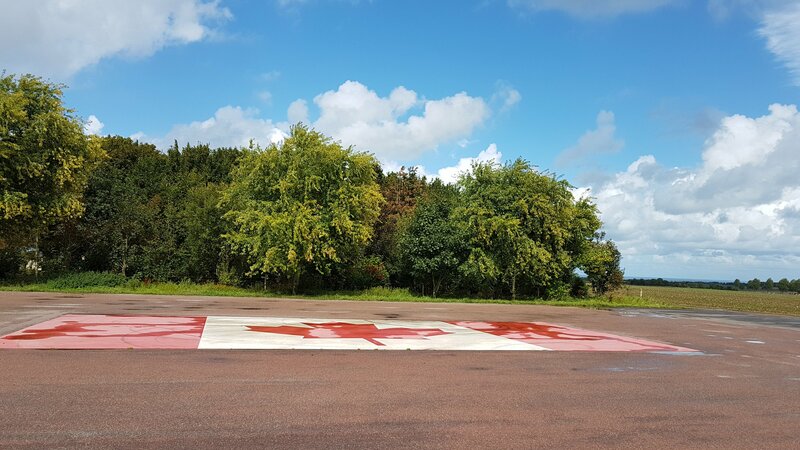 A very large Canadian flag has been painted in the parking lot.